Volunteer project: The Biological Centre and Natural Reserve in Quebradas are protecting the main water source, the flora and fauna of the area. International volunteers are invited to support the Biological Centre and Natural Reserve. The Reserve is located 3 km uphill from the community of Quebradas, between 1000 and 2500 meters above sea level. The Reserve was created in 1989 as an answer to the problems of deforestation in the area. There's also an environmental education centre. - to do research and to promote the conservation work. The Reserve is especially proud of the diversity of birds and butterflies that live in its forest. They have already constructed a butterfly farm to show all the different types of butterflies for the enjoyment of the visitors. Now, they also want to improve the bird watching opportunities in the area. Experts estimate that there are about 200 different birds in the protected area. The Biological Center wants to observe the habits of these birds in order to create leaflets about the types of birds that can be found in the area during the different times of the year. You can also find white-face monkeys and other small tropical mammals. The Biological Center also has a garden with medicinal plants, and they produce organic compost. In addition, within the 36 hectares of the Reserve, you can find a system of 4 trails, 3 of which have signs for educational guided tours. • to paint and to maintain the buildings. Volunteer’s schedule is Monday to Friday, 5-8 hours a day (depending on the tasks and weather). - to be ready to walk uphill for 50 minutes every morning in order to get to the project site and walk back to the host family in town after finishing work every afternoon. Accommodation: The volunteers stay with a host family in Quebradas, Perez Zeledon. Location: Las Quebradas is a small village near the town of San Isidro del General in Southern Costa Rica. Quebradas is located in the mountains, over 744 meters above the sea level, and it is part of the El General Valley. The valley is surrounded by high mountains such as Cerro de la Muerte to the north (3491 meters above sea level) and the highest mountain of Costa Rica, El Cerro Chirripó, at 3820 meters (about 12000 feet). The weather in the region is humid and, although the rainy season lasts from May until December, there will probably be some showers during the dry season as well. Quebradas has some indigenous heritage from the pre-Columbian times, and some traces from those cultures can still be found in the community and the region. Las Quebradas was founded by farmers who moved to the mountains to the north of San Isidro and settled at the border of the river Quebradas. Currently, because of private and communal initiatives, Quebradas is preserving the high lands in those mountains to protect the river Quebradas, which is supplying drinking water to Quebradas, San Isidro and other communities in the surroundings. The main economic activity is agriculture (coffee, sugarcane, corn, beans, fruits and vegetables). 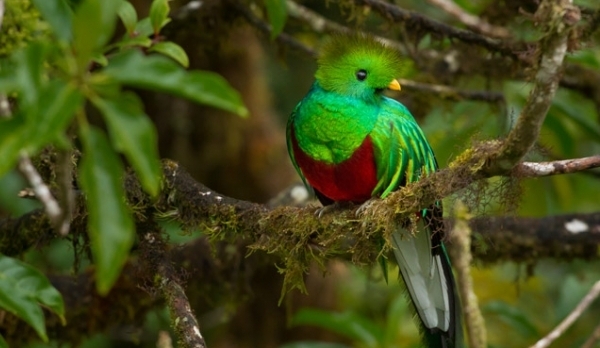 Volunteer project: The Santa Elena Cloud Forest Reserve, located in Monteverde, is a project that combines conservation, ecotourism and education. This project is an example of a protected area that is well administered by a small community which directly benefits from it. With an area of 310 hectares, a great biodiversity and the source of many streams and rivers, the Reserve supplies the local communities and their surroundings with a nature preserve among a mosaic of protected neighboring areas: The Children’s Eternal Rain Forest, The Monteverde Cloud Forest Reserve and Arenal National Park. Together, these constitute a joined protected area of forest of approximately 28 000 hectares, where populations of endangered animals, such as the tapir, jaguar and quetzal, have been revived. For all of these reasons, the Reserve receives annually about 20 000 tourists. Thanks to the help of national and international volunteers, people from the community, and students, the Reserve has developed a good infrastructure of trails, a visitors' center, a store and a small restaurant. Many volunteers with technical and professional experience also help with environmental education and sustainable development projects. At Santa Elena Reserve, helping hands are always welcome. You will not only have the unforgettable experience of knowing one of the most world renowned centers of conservation and biodiversity, but you will also enjoy the opportunity of meeting a new culture. Costa Ricans, in general, and people from the Monteverde area, in particular, are known for their friendship, respect and kindness. • assisting at the main office in town with reservations and translations. If you stay for a longer period and have specific skills, you may also help with research going on at the Reserve. Please arrive in San José 3 days before the start of the project. On the third day, you will travel to the project site. Volunteer placements mostly start on Monday and Tuesday. 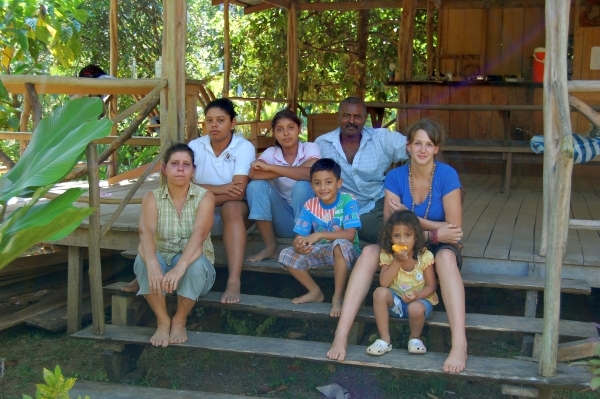 Accommodation: The volunteers stay with a local host family in Santa Elena. 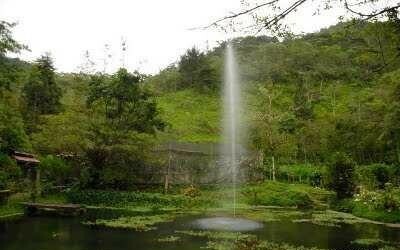 Volunteer project: The Municipal Park “Naciente Rio Loro” (or Loro River Water Springs) is located in the Central Mountain Range of Costa Rica at approximately 1200 meters above the sea level and consists of 23 hectares of land. The creation of the park was an initiative of the Running Water Technical Commission of the Municipality of the small city of Cartago aiming to protect the springs that provide running water to the nearby communities. It also aims to offer environmental education and a place for leisure for the people of these communities and of downtown Cartago. During the school year (from March to November), the park receives groups of elementary school students. Over the weekends and during the "summer" vacation (from December to April), the park receives visitors that come to spend the day with their families and friends. • do some office tasks if necessary. Please arrive in San José 2 days before the start of the project. On the second day, you will travel to the project site. Volunteer placements start from Wednesday to Sunday only. Accommodation: The volunteer will live with a local host family. Volunteer project: The Lankester Botanical Garden is an ecological project and is a part of Universidad de Costa Rica. The mission of the garden is to promote conservation, enjoyment and sustainable use of native flora of Costa Rica threatened with extinction, especially epiphytes, through programs of scientific research, horticulture and environmental education. As a botanical institution, it’s a leader in the study and conservation of epiphytic plants of the Mesoamerican region. It consists of 11 hectares with field collections, collections in greenhouses and secondary forests, and is habitat for more than 3,000 plant species. Volunteer’s schedule is Monday to Friday from around 7:30 am to 3:30 pm. Please arrive in San José 2 days before the start of the project. On the second day, you will travel to the project site. Accommodation: The volunteers stay in a host family in Cartago Center. 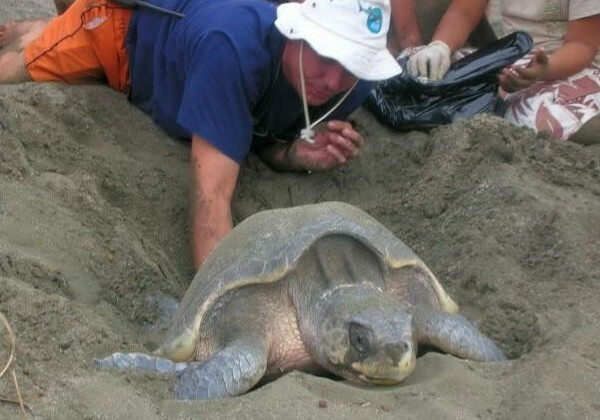 Volunteer project: This volunteer project is based in Playa Junquillal of Santa Cruz, Costa Rica and since 2001 is working for the conservation of sea turtles and the Rio Nandamojo. The goal is to ensure the conservation of threatened ecosystems and contribute to the well being of communities who depend on them. Junquillal is a very important breeding zone in Pacific Costa Rica for endangered Leatherback turtles (Dermochelys coriacea), Black turtles (Chelonia mydas agassizii) and Loras turtles (Lepidochelys olivacea). Volunteers will join the efforts to protect the sea turtles, mitigate poaching, ensure optimal conditions for nesting turtles through active conservation and community support, and increase the welfare of the local population of Junquillal. Volunteers will work 5-8 hours a day (depending on the tasks), 5 days a week. Please arrive in San José on Saturday or Sunday. On Tuesday, you will travel to the project site. Volunteer placements start on Tuesday only. Duration of the project: 2-3 weeks. Please select the dates that work best for you and submit them with your application. Accommodation: Volunteers stay in the volunteer center, with a host family in the community, or in a camping area near the beach that has electricity and drinking water. Location: Junquillal Beach, Santa Cruz, Guanacaste, on the North Pacific coast of Costa Rica. The area's main attraction are the beaches that stretch for more than 5 km and the extensive mangrove, fed by the river Nandomojo. The place is 34 km from the city of Santa Cruz and 260 km from San Jose. Volunteer project: The Butterfly Garden is located just 10 min out of the center of San José, the capital of Costa Rica, and in the last bit of forest in the metropolitan area: a little tropical paradise in the city center. It is also a shelter for a big number of little mammals, reptiles, insects, birds, and, of course, butterflies. 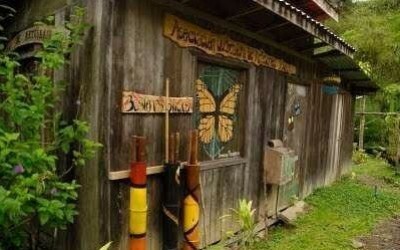 In the 350m2 farm, visitors can see several of Costa Rica’s most beautiful species of butterflies and observe them in every stage of their life. • Gardening tasks: weeding and cutting the plants, maintaining the compost, cleaning the benches in the garden, making sure the larvae have enough food, maintaining the feeding spots for the butterflies, watching out for the safety of the turtles, taking care of the waterfall and the orchids, etc. • Guide’s tasks: Holding information lectures for tourists and visitors about the environment and the importance of butterflies in our ecosystem; maintaining the farm and the feeding spots of butterflies, turtles and colibris in a good state, etc. • Lab tasks: Keeping it clean and organized, collecting plants to feed the larvae, cleaning drawers with water and chlorine, keeping the materials in their respective spots, etc. Volunteer’s schedule is Monday to Friday from 9:00am until 2:00pm. Arrival and orientation: All participants in the program have an orientation meeting in San José before starting the project. The orientation helps you get an insight into local culture and prepares you for a positive experience in Costa Rica. Please arrive in San José 2 days before the start of the project. Accommodation: The volunteers stay in a host family in downtown San Jose. Volunteer project: The Child development and care center in San Pablo provides a quality service to children between the ages of 3 and 7 years who come from families in extreme poverty, poverty and the middle class of San Pablo de Heredia. It is based on constructivist methodology and promotes equality between men and women as well as core values for personal development. • to assist with cooking, cleaning, laundry etc. Volunteer’s schedule is Monday to Friday, 5-8 hours a day, starting at 7:00am. Please arrive in San José 3 days earlier. On the third day, you will start on the project. Accommodation: The volunteers stay with a host family near to the project site. Volunteer project: The Home for elderly people in Guadalupe provides its residents with a place for recreation and special attention. Residents live in the centre all year round. The home also offers different activities to the elderly such as organized games, handicrafts, exercises, and many other. The volunteer tasks are mainly related to accompanying and sharing with the residents. Volunteers will take part in activities with the elderly such as exercises or workshops (sewing, cooking, handicrafts, etc.). The volunteers could also organize new activities for them. Volunteers will help with cleaning or cooking at the center. It is also important to help during the meals. The volunteers could assist with medical cares, and also assist the physiotherapist. Volunteers will work Monday to Friday, 9 am to 3 pm. Please arrive in San José 3 days earlier. On the third day, you will start on the project. Volunteer placements start on Monday, Tuesday and Wednesday only. Accommodation: Volunteers live with a local host family near to the project site. 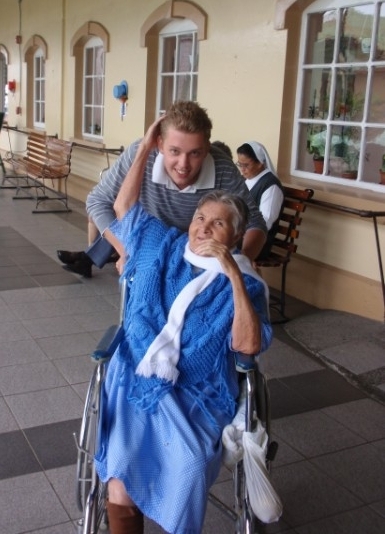 Volunteer project: The nursing home in Santo Domingo aims to provide a quality service to elderly people who need it as a result of their situation either of poverty or disability, by means of comprehensive care in an appropriate setting according to current guidelines. Volunteer’s schedule is Monday to Friday from 10:00am to 4:00pm. 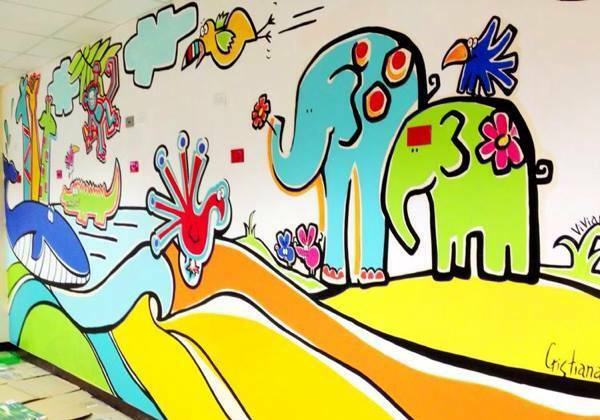 Volunteer project: The Hospital de Niños is the most important institution for children’s health care in Costa Rica. Its staff is constituted by the most experienced pediatricians and surgeons specialized on children. As a consequence, the hospital receives babies, children and teenagers from all over the country and from all social backgrounds. The volunteering opportunities at the hospital are arranged with an association of women who give love, support and care to children in recovery process from surgeries or treatment and who collaborate with some other general activities in the hospital. • to assist in specific activities assigned by the hospital staff in accordance with the volunteer’s specific skills. - To have a basic Spanish level. Please arrive in San José on Sunday or Monday. Volunteer placements start on Wednesday only. Volunteer project: Volunteer help is needed in a temporary shelter which is in charge of protecting and taking care of children at social risk and in a state of vulnerability. The shelter works in cooperation with the Costa Rican government to protect children who have suffered neglect, abuse, sexual and physical aggression. The children receive social and educational attention, love and care. The shelter works with children from 0 until 12 years old and is located in Higuito, a poor area of Desamparados, San José. • Accompanying the staff and children to doctors’ appointments, etc. Volunteer’s schedule is Monday to Friday from 9:00am to 4:00pm. Volunteer project: The project takes place in a public primary school that takes cares of children with disabilities in several areas: physical, visual, auditory or mental. The school is financed by the government, and the school year begins in mid-February and lasts until December. There about 200 children in the school, aged from 7 to 12 years old, as well as some teenagers who also study here. There are 25 teachers and administrative staff who work in the different areas of the school. The volunteers might need to learn to teach Braille, Abacus and orientation as well as mobility to the students. Volunteer’s schedule is Monday to Friday from around 8:30 am to 3:30 pm. There are two months of school holidays at the end of the year as well as 15 days during July. For this reason it is recommended that volunteers do not apply for placement in December, January, February and July. Volunteer project: Volunteers are needed for teacher assistant positions in schools in different locations around Costa Rica. These are public schools located in several middle and lower middle class areas of Costa Rica. The children’s ages vary from 5 to 13 years, and they go from kindergarten, preschool and the first six grades of elementary school. The schools’ curriculum and activities usually include all the basic subjects (Spanish, Science, Social Studies and Mathematics). Additionally, most schools offer English as a foreign language, Music, Arts, Physical Education, Civics and (Roman Catholic) Religion classes. English classes are one of the areas where the support given by volunteers is most valued (even if they are not native speakers as these classes would be at a basic level) as well as physical education. Sometimes, if a volunteer has some special knowledge or skills – for example in music, arts or sports – and if the school agrees, they can organize additional activities independently. Volunteer’s schedule is Monday to Friday from 7:00 am to 1:00-2:00pm. School holidays are usually from December to February and at Easter. Accommodation: The volunteers live with a host family close to the school. Location: Placements are currently available in schools in San Ramón, Alajuela Province and in Peñas Blancas, Guanacaste Province near La Fortuna. Depending on the time of the year, other schools might be available and suggested.